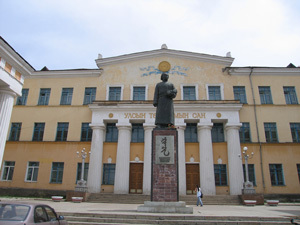 The Kangyur called the Tempangma manuscript of the Kangyur is held at the National Library of Mongolia. This joint project was coordinated by Kawachen. 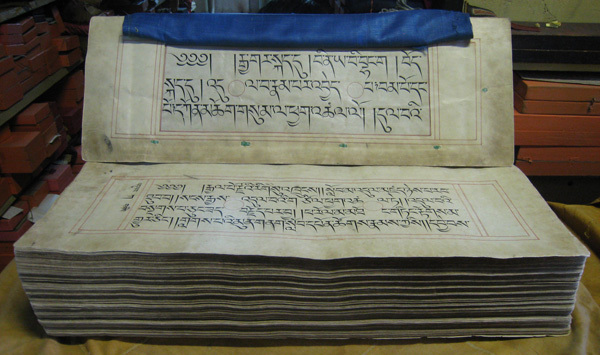 Digital version of Tempangma manuscript of the Kangyur was distributed from the Digital Preservation Society (DPS) which was established in order to preserve the Tibetan Buddhist Canons and related literature in digital form, and make these widely available. This joint project was completed in April 2016 and distribution of the Digital version of Tempangma manuscript of the Kangyur from DPS has ended. This joint project was completed in April 2016 and distribution from DPS has ended. Thereafter, to make it available, Kawachen has undertaken the distribution of this digital Kangyur. *:Price subject to change without prior notice. 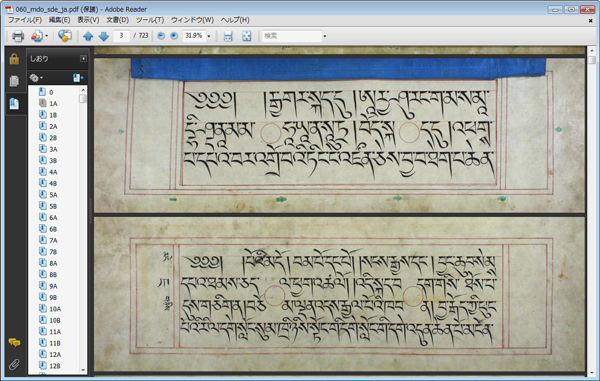 The digitized Tempangma manuscript (rgyal rtse'i them spang ma) of the Kangyur and the Peking edition of the Kangyur held by the National Library of Mongolia is available from its exclusive distributor kawachen, Tokyo. Please read the terms and conditions and fill the Order form and send to by e-mail. We will send you the bank remittance detail etc. by e-mail. Usually, we will send the data in DVD in about a week after receiving the payment. The use of the materials included in the digitized image of the Kangyur is available to the individual or the organization and its affiliated members that have obtained it from the legal Distributor. The publication, distribution, redistribution, posting on website, commercial use etc. without permission is prohibited. Content is scanned image data of manuscript offered in PDF format, and is not searchable text/character (transcription) data. To view a PDF Adobe Reader (free) or PDF reader software is required. Please see the sample image data of the manuscript on Adobe Reader in the Homepage. Inside the digital image data, the individual or the organization's name is printed. Protection is made to restrict editing of page or pages. Also, the individual or the organization's name is printed on the DVD-R disks. *: "/" Please select one by deleting the unnecessary part. **: For any order by an institution or an organization, if you require any Proforma Invoice / Invoice / Receipt etc. please let us know your billing department name with detail address. Also, please mention any other specifications needed with the document.